Checkbooks and wall plaques. For years those items were symbolic of the Detroit and West Michigan conferences’ relationship with the United Methodist Committee on Relief. Thousands of generous United Methodists around the state would write checks for every appeal issued by UMCOR. Then at every session of Annual Conference, a representative from the General Board of Global Ministries would stand alongside the bishop and conference treasurer, to present a plaque that commemorated exceptional giving during the year just past. “We’re running out of wall space for all these plaques!” was a common quip. That kind of exceptional mission stewardship is indeed worth celebrating! In 2014 something new began to happen between The Michigan Area and UMCOR. Surely, strong giving continued on the part of congregations, and there were more plaques, as well. But perhaps the new symbol of the relationship between The Michigan Conference and UMCOR is the Case Manager. First, there was epic flooding in Northwest Detroit in 2014. An UMCOR grant of $600,000 enabled the Rev. Becky Wilson and her team to assist residents in their recovery. In the early part of 2016, another UMCOR grant of $75,000 allowed the Crossroads District to hire, first, Peter Plum, and then, Greg Timmons to lead the United Methodist response to the Flint Water Crisis. 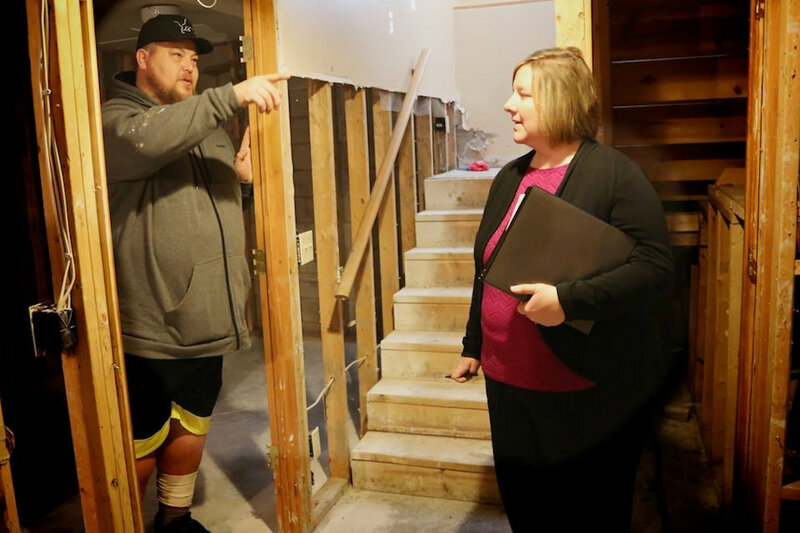 In 2017 UMCOR provided $190,000 to support two Case Managers and their service to families affected by flooding in Midland; their work is wrapping up now. Four more Case Managers are currently at work in Michigan. Mano a Mano con Puerto Rico (Hand in Hand with Puerto Rico) has assisted those who fled to Michigan after Hurricane Maria. A $100,000 UMCOR grant funded the work of those two Case Managers, based out of Detroit and Grand Rapids. Two Case Managers have just arrived in an office in Hancock, Michigan to begin a twelve-month effort to coordinate response for those suffering from the Fathers’ Day flood in the Keweenaw Peninsula. The Copper Country Flood Recovery is possible thanks to a $100,000 grant from UMCOR. The math … almost $1.1 million total over four years. Because of the effective disaster response provided by these various projects of the last four years, the United Methodist Committee on Relief has granted $204,700 to The Michigan Conference. The two-year funding will employ a full-time coordinator for disaster recovery ministries in Michigan. The search has started for a person who will be part of the Office of Connectional Ministries staff, supervised by Benton Heisler. It is hoped that the new coordinator will be in place by January 1, 2019. Details here. This Disaster Recovery Ministries Coordinator will focus both on the after-care of past disasters and preparedness for future crises. UMCOR will provide intense training for the individual who is hired for this task. The new staff person will work with volunteers who make up the present Michigan Conference Disaster Response Team: Bob Miller (Chair of the Disaster Response Committee; Dan O’Malley, Disaster Response Coordinator, and Jody Pratt, Volunteer in Mission Coordinator. Together, they will build the Michigan Conference’s readiness to respond. “We are looking for a person with a heart for disaster response ministry,” said the Rev. Paul Perez, Michigan Conference Associate Director for Mission and Ministry. “We are interested in someone with case management experience in the non-profit arena and The United Methodist Church,” he added. Other conferences, including Florida, New Jersey, and New York have disaster response coordinators on staff. 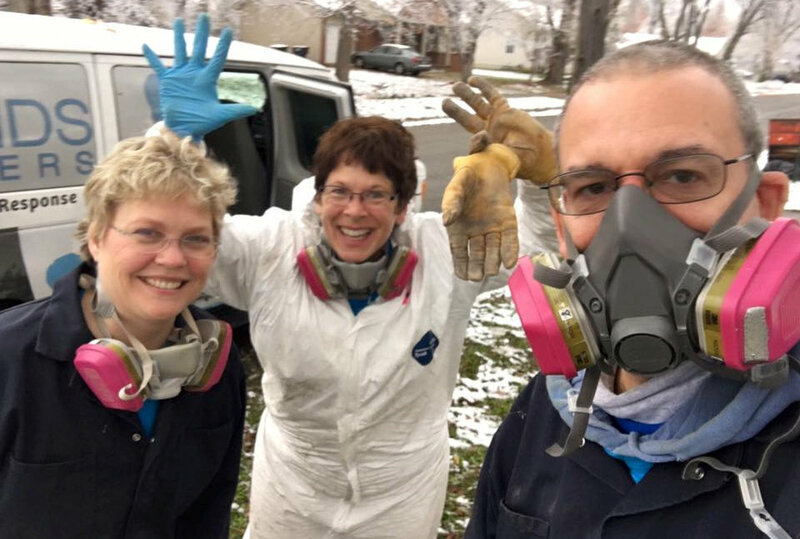 Paul Perez expresses his excitement that Michigan United Methodists have developed a heart for disaster recovery ministry over the past five years. “This grant positions us for the next chapter and will help build our capacity and our ability to respond with local communities in timely ways,” he continued.